Mr Kevin C Chan, a year-3 PhD candidate of Department of Electrical and Electronic Engineering, has been awarded the 2009-2010 Fulbright Scholarship for dissertation research. 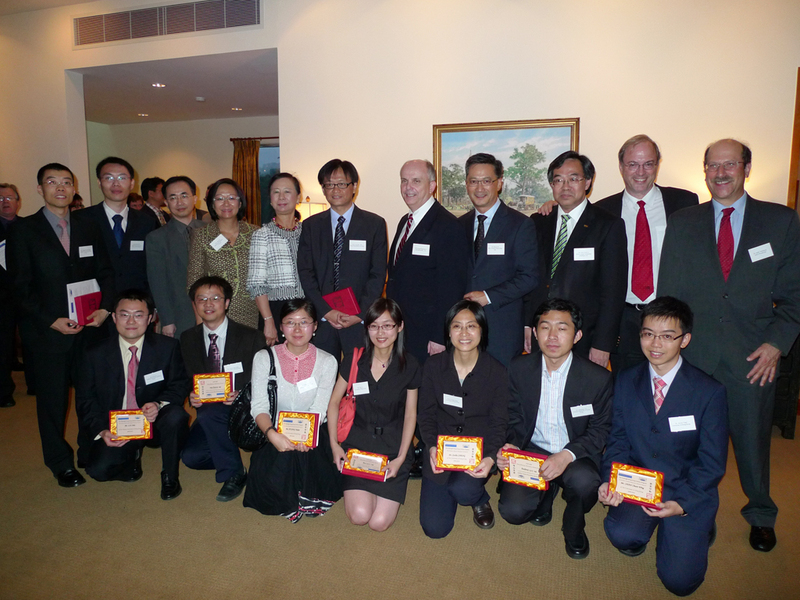 The award was officiallyannounced in a reception hosted by US Consultate General, Mr. Joseph Donovan, on May 12, 2009. Kevin will spend 10 months in the US for PhD dissertation research in area of biomedical imaging/MRI, visiting University of Pittsburgh, Columbia University and Harvard University. Kevin is a graduate of our HKU Medical Engineering BEng Program. His supervisor is Prof. Ed X. Wu.